Day 11 of the Holiday Card Series 2018. The series consists of 25 holiday card videos on Monday, Wednesday, and Friday of each week until November 30. 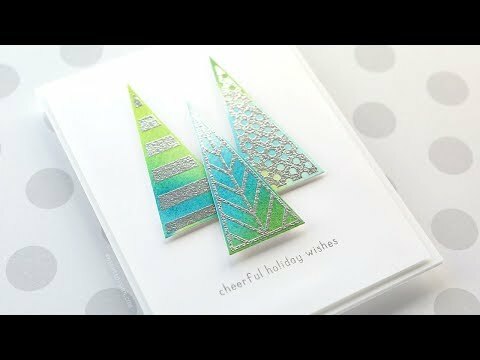 Today’s card is clean, simple, and easy to create using watercolors and some tree stamps.